Kit Harington and Rosie Leslie Are Getting Married: A Game of Thrones Themed Wedding? They’ve finally made it official… Kit Harington and Rose Leslie are getting married! The stars, who play Jon Snow and Ygritte in the highly popular show, Game of Thrones, announced their engagement this Wednesday in an article published in The Times. 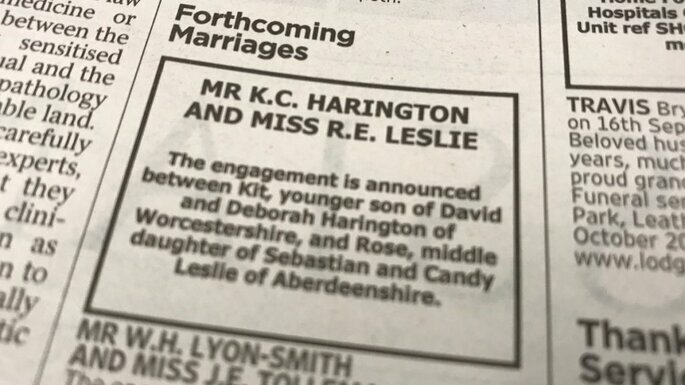 They wrote: “This is to announce the engagement between Kit, the youngest child of David and Deborah Harington from Worcestershire, and Rose, the middle child of Sebastian and Candy Leslie from Aberdeenshire”. The rumours about their potential engagement came from a source close to the couple claimed People magazine, but it they finally confirmed it themselves, officially. The Times has been used by many British couples for announcements, as it’s a tradition some like to hold onto. in fact, Benedict Cumberbatch, star of the series Sherlock and films such as The Imitation Game, did the same in 2014. 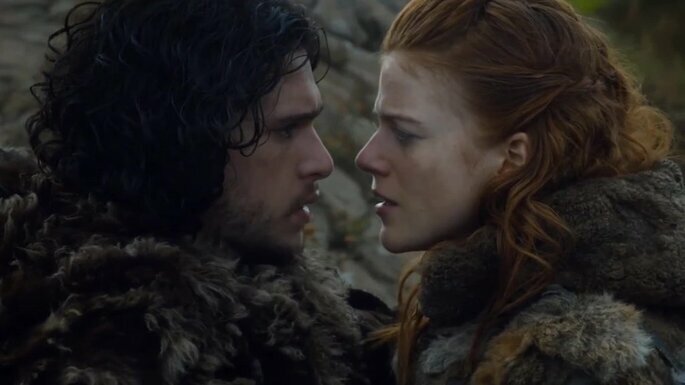 The couple’s relationship started onscreen; Jon Snow, as the Guardian of the Night, and Ygritte, as a savage for whom the warrior gave up his vow of chastity. And then the spark developed beyond the fictional tale and became a true love story that, despite a short break, resumed some time after. “You don’t know anything Jon Snow”, Ygritte told Jon over and over again. It seems that, in the end, they both knew what they wanted. The couple confirmed their relationship in 2016 and shortly after attended the Olivier Awards together. In addition, Kit Harington made it obvious in his interview for the magazine L’Uomo Vogue. “When you feel very attracted to someone and then you play their love interest onscreen, it is very easy to fall in love”, he said. Although rumours about an engagement have always surrounded their relationship, Kit Harington has remained patient, waiting until they’d moved in together and were ready. It seems that everything gathered pace last January when Rose Leslie moved in with the actor and, most especially, in July, when news surfaced of their purchase of a mansion in East Anglia for 1.75 million pounds. Now it is only a matter of waiting to find out when the big day will be as well as all the details about the event. Miley Cyrus and Liam Hemsworth seem to have secretly married the night before Christmas. We have all the information about the wedding! Meghan Markle and Prince Harry Are Expecting Their First Child! All the Details from Princess Eugenie and Jack Brooksbank's Wedding! Princess Eugenie's Wedding: Could It Eclipse Harry and Meghan's? Prince Harry's wedding is set to be overshadowed by that of his younger cousin, Eugenie of York - stay updated with Zankyou's coverage of the big day in October! The Emmys took place in Los Angeles last night, and we have to say that we're in love with some of the looks that our fave celebrities showed off! The International Venetian Film Awards for 2018 are in full swing, bringing us some of the most daring and seductive red carpet looks. Check out some of our favourites here!